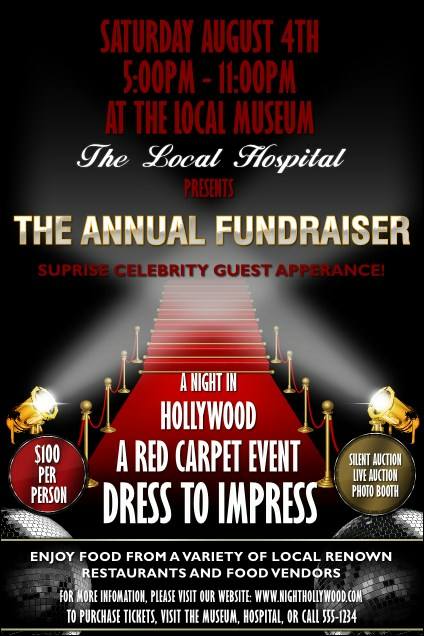 Roll out the red carpet for your event promotions and advertise with the Hollywood Lights Poster. This design, great for fundraising galas or movie premieres, features two big spotlights shining on a red carpet. Clear white text stands out on the rich black background of this template. Find dramatic designs at TicketRiver.com.au.